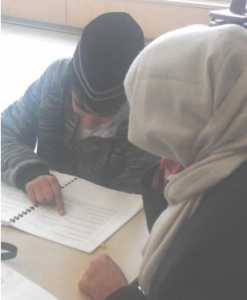 In many classrooms, the students reviewed what they have learned so far for the midterm exam in January. Students are always reminded to pray Rabbi zidni ilma as they are revising for exams so that they ask Allah for help since He has all power and knowledge and we are weak. Teachers use a variety of strategies for the revision of topics like games and quizzes. Students test each other and table groups compete against each other. 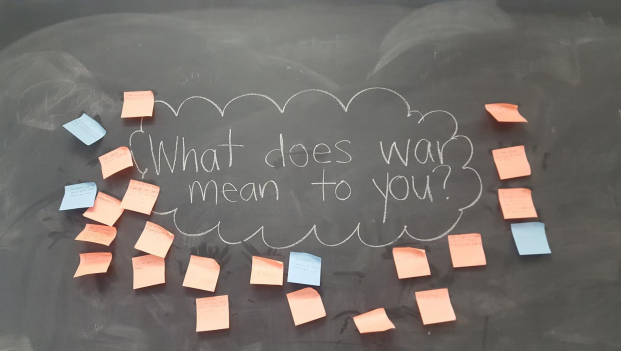 Some teachers make resources to help students like question and answer cards. Teachers at the Nasir Academy are encouraged to use a variety of tools and teachings styles to make the lessons fun and engaging. The teachers are dependent on the support of the parents who check the agenda and then help their child learn all the topics and skills in time for the next class. Teachers keep thorough records of the homework and class work of each student. During the class, teachers note the level of participation of each child and the progress in their learning. Children are sent homework from 3 subjects. the Holy Qur’an. They are encouraged to recite it every day in namaz or to a parent. They can use our website Alislam.org in which the Holy Qur’an section provides audio recitation for the children to copy. translation and apply in their prayer as well as in their daily life. which may be done individually or as a group. issues like the feature level4 basic class below. may be simple questions in the text book or an essay or a presentation in class. special place. The book lists Mecca, Medinah, Qadian and Rabwah. 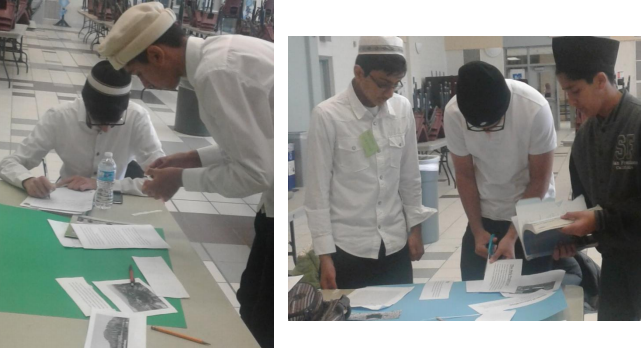 The teachers and students choose to add other sacred places like London markaz, and Jerusalem. The students were expected to work with their group members during the month and communicate by email. Each member was expected to prepare an aspect of the special place and be able to present to the class why it is spiritually uplifting to visit that place. 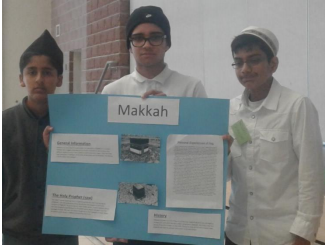 May Allah prepare our students as the beacons of our Jama`at. Amen! Copyright © 2019 Department of Education. . .